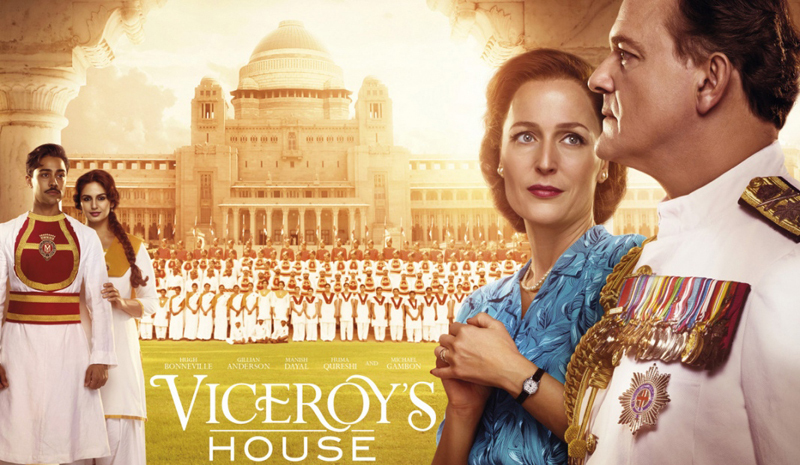 Though it’s still early in the year, the recently released Viceroy’s House, which stars Hugh Bonneville and Gillian Anderson, is already shaping up to be one of 2017’s most memorable films. Described by Director Gurinder Chadha as an “Upstairs, Downstairs version of Partition,” it tells the fascinating story of the last Viceroy of India and the country’s struggle for independence. As a lavish costume drama, it also gives viewers an evocative perspective on India’s incomparable beauty. 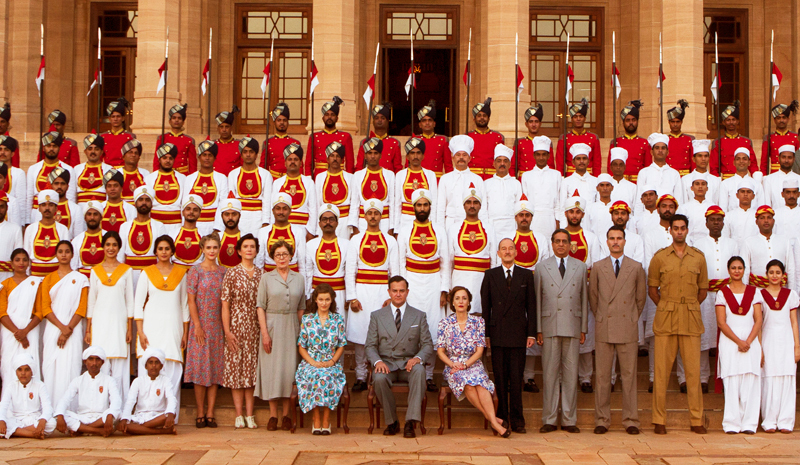 Viceroy’s House was filmed almost entirely on location in Rajasthan and Delhi, and one setting in particular stands out: the Umaid Bhawan Palace in Jodhpur. A sprawling royal palace that’s also one of the largest private residences in the world, it serves as the backdrop for many of the film’s pivotal scenes (and is stunning to behold). 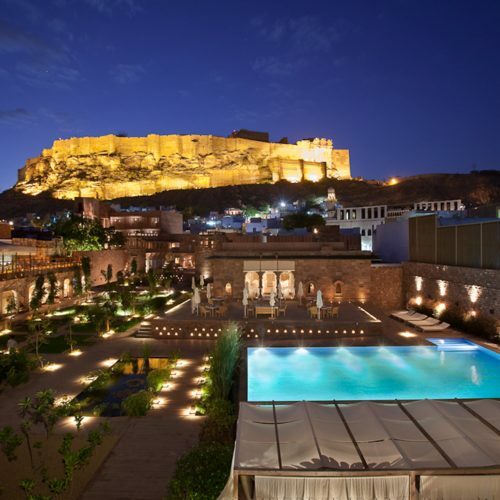 Take inspiration from this new release, and consider visiting this iconic landmark on your next trip to Jodhpur (don’t forget to book a stay: it also houses a five-star Taj hotel). Given that 2017 additionally marks the 70th anniversary of India’s struggle for independence, there’s never been a better time to discover this incredible piece of living history. 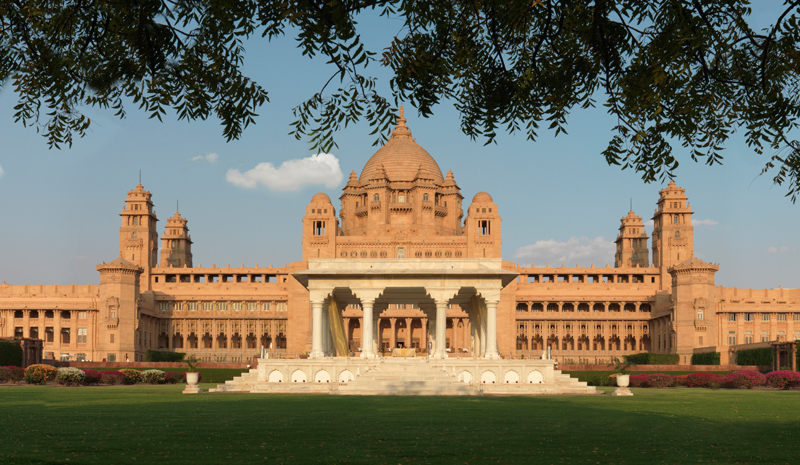 If Viceroy’s House has left you curious about this beautiful building, it’s worth brushing up on the Umaid Bhawan Palace’s fascinating history. Described as “the last of the great palaces of India,” the Umaid Bhawan Palace has all the grandiosity of a centuries-old landmark, but in fact is less than 100 years old. Constructed between 1928 and 1943, it was designed by architect Henry Vaughan Lanchester, and is famous for its grand, Beaux Arts style, which combines both Eastern and Western architectural flourishes. 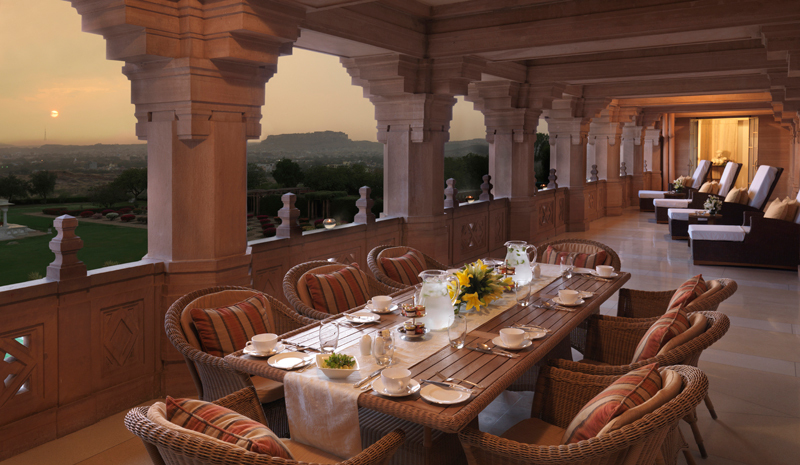 Its location at the top of Chittar Hill provides guests with phenomenal views of the city of Jodhpur, while its golden edifice (it was constructed from Indian sandstone) and 26 acres of gardens beguile visitors from up close. 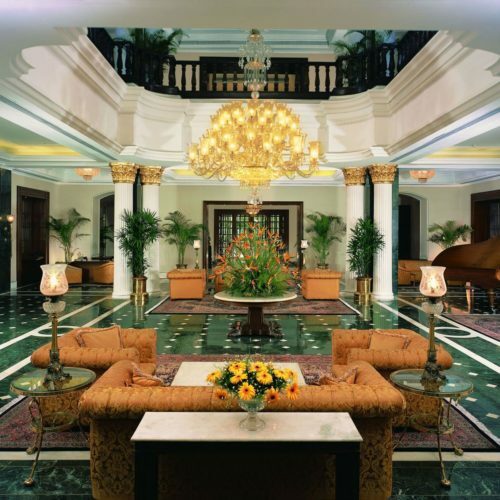 Now one of India’s finest luxury hotels, the Umaid Bhawan Palace is rich with one-of-a-kind amenities. 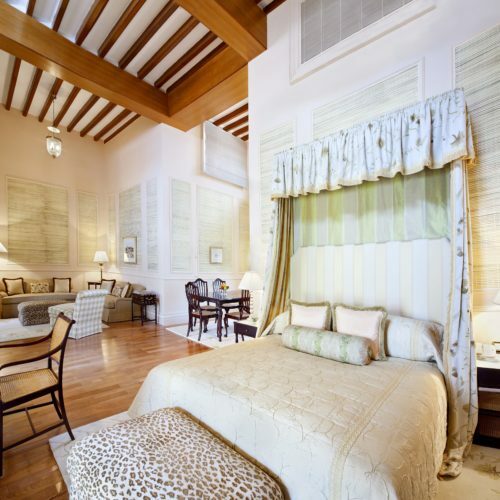 Guests can go on a butler-led heritage walk of the grounds, linger in the Jiva Grande Spa and its glittering indoor pool, enjoy private dining on candlelit terraces, and while away the evenings in the hotel’s regal suites, where en-suite massage rooms, entertaining areas, and private yoga instructors are on offer. Beyond the Taj Hotel, the sprawling structure also contains a fascinating museum, and remains the residence of the area’s royal family. Simply put, there’s no other place quite like it. 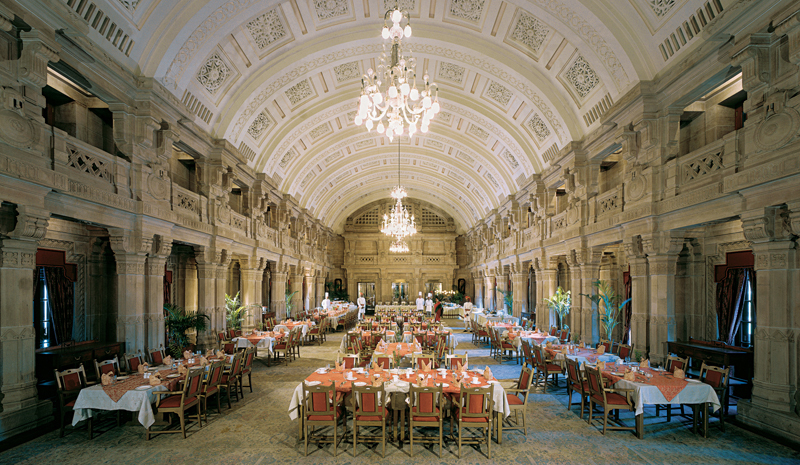 To tempt you further, Greaves has several offers available to travelers to the Umaid Bhawan Palace. First, you can relive the spirit of the era with vintage car transfers, which will whisk you in style from Jodhpur straight to the palace entrance. If you ask us, there’s no better way to begin your trip. For an even more memorable experience — and one that’s certain to appeal to history lovers — you can join the Umaid Bhawan Palace’s Maharajah for afternoon tea. 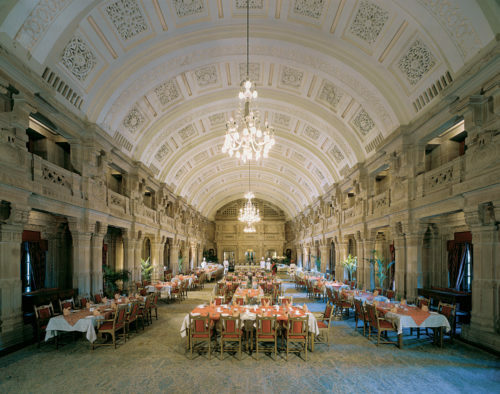 After all, there are few better-versed experts on this spectacular heritage venue.